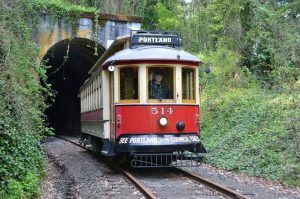 Ride in a Vintage Trolley from Lake Oswego into a dark tunnel and meander thru posh neighborhoods. Soon you will be on a high trestle overlooking the beautiful Willamette River and continue along the Willamette River thru Powers Marine Park, then ending your journey at the Southwest Portland waterfront district at Bancroft and Moody Streets (a short walk to the Portland Streetcar). Then you may return the way you came. A perfect outing for families and couples. You will riding on a historic rail line dating from the late 1800s. The tunnel dates from 1912. At one time electrified interurbans ran on this line from Portland to Oswego and on to Hillsboro, McMinnville and Corvallis. 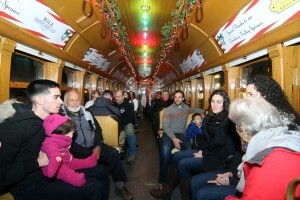 The Vintage Trolley itself is a replica trolley in the style of Portland’s own Council Crest cars. Two of the original cars can be found at our museum in Brooks. The Vintage Trolleys did run on the MAX Line and Portland Streetcar before coming to Willamette Shore Trolley. Trolleys run from downtown Lake Oswego to the SW Portland Waterfront at SW Bancroft & Moody streets, just a short walk from the Portland Streetcar Lowell St. stop. The WST has special events throughout the year. By far the most popular event is the Christmas Ships runs held in December. Trolley schedule, time table and fares. 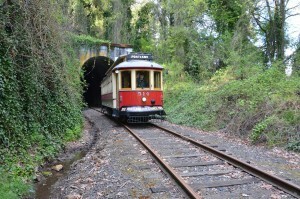 Trolley run from May thru October on weekends from Lake Oswego to Portland. Come enjoy the scenic ride. Willamette Shore Trolley shared a post. Become a Trolley Driver, Ticket Agent, Conductor. Apply below.Won't you join us? The Willamette Shore Trolley is looking for volunteers! Come visit us at our next prospective open house on Saturday April 13th! We are looking for trolley operators, conductors, and depot agents. No experience necessary.